The Departments of State Security Service (DSS) has just sealed the secretariat of the House of Representative Committee on Appropriation. 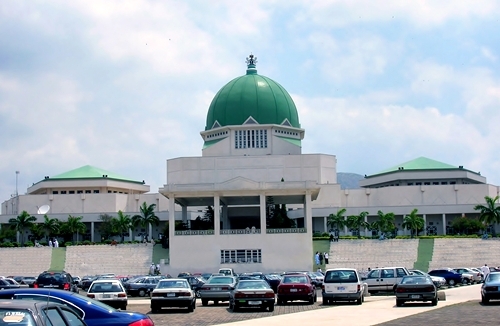 According to an authoritative report by Premium Times, The agents of Nigeria’s secret police, State Security Service, on Saturday, sealed the secretariat of the House of Representative Committee on Appropriation. It was gathered that the SSS officials stormed the secretariat, which serves as offices for the 40-member appropriation committee and its staff, and immediately placed it under lock and key. The SSS also sealed Hon. Jibrin’s office at Room 1.05 in the New House of Representatives building. The development followed Mr. Jibrin’s statement on Thursday that Dogara ordered removal of workstation from the Appropriation Committee Secretariat and allegedly attempted to break into his office. Jibrin had reportedly visited the SSS Headquarters on Friday to brief the agency about the budget padding scandal rocking the House. He also called on EFCC and ICPC to commence investigation into the crisis with a view to prosecuting those involved. As at the time of filing this report, efforts to reach the spokesperson of the House of Representatives, Abdulrazak Namdas, were unsuccessful as his phone was switched off. Speaker Dogara’s spokesperson, Turaki Hassan, disconnected a phone call upon hearing it was a correspondent's enquiry.